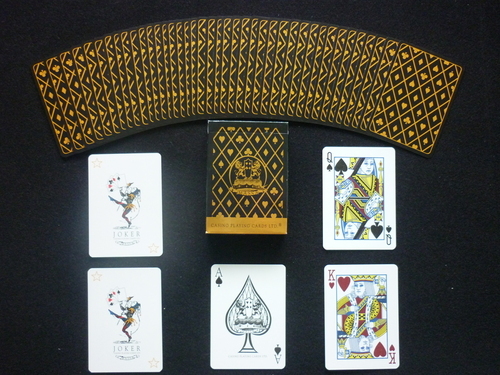 Massa playing cards were produced by Casino Playing Cards LTD, a small card manufacturer (5-10 people) owned by Michael Massa. They have an Air-Cushion type finish, although they have significantly less "dimples" than the USPCC's standard Air-Cushion finish. 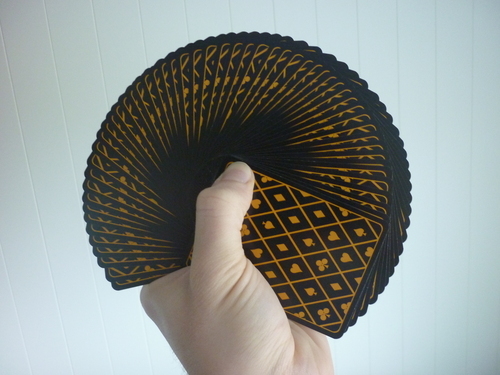 The stock is slightly thinner and softer than a standard Bicycle deck, and the red pips have darker coloured ink. They also have a subtle one way back.